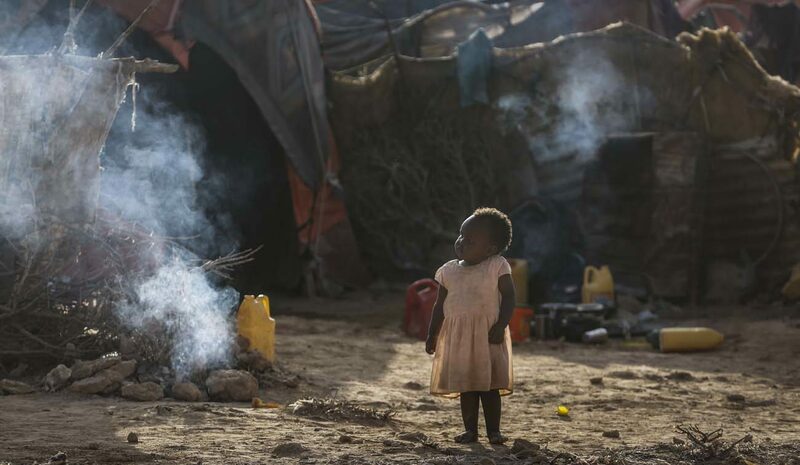 NAIROBI, Kenya (CNS) — Bishop Giorgio Bertin of Djibouti urged the international community to focus on alleviating the drought in Somalia as 6 million people experience severe food shortages and contend with the al-Shabab extremist group. Bishop Bertin, who also is apostolic administrator of the Diocese of Mogadishu, Somalia, expressed fear that the country may slip into a famine if action was delayed. “The Somali government, international community and Somali diaspora should map out the most affected areas and find the best way to respond to the immediate needs of local population,” Bishop Bertin told Catholic News Service May 12. The cleric’s comments followed the one-day London Somalia Conference May 11, which brought heads of states from East Africa and key partners together in the British capital. The conference focused on accelerating progress on security sector reforms and building new international partnerships to maintain the country’s course of recovery. “I do believe that Somalia can be in the near future the kind of good news that we badly need in the international community and in our troubled world,” Antonio Guterres, United Nations secretary-general, told the conference. Guterres highlighted the drought as the most pressing priority and called for an additional $900 million to tackle the crisis. Apart from the more than 6 million people — nearly half of Somalia’s population — needing humanitarian assistance, an estimated 275,000 malnourished children are at risk of starvation, according to aid and development agencies. Bishop Bertin said Caritas Somalia was responding alongside other agencies. “We are distributing emergency food in six villages in Somaliland. We are also working on a project to take water to a rehabilitation center for handicapped children in a very poor settlement near the city of Hargeisa,” the bishop said. While stressing the role of the Somali diaspora in rebuilding their country, Bishop Bertin urged the lifting of restrictions on “hawala,” traditional money transfer agencies, to allow the Somalis worldwide to contribute to the aid effort. U.N. statistics show that from 1990 to 2015, the number of Somalis born in the country but living elsewhere grew from 850,000 to 2 million. Money transfer businesses, which funnel an estimated $2 billion a year to Somalia, are struggling to access banks in the United Kingdom and the United States due to severe restrictions placed on them because of terrorism threats. Fears abound that the transfer agencies may be used to fund the al-Shabab extremist group operating in Somalia. The bishop also urged stronger support for new Somali President Mohamed Abdullahi Farmajo, who took office in February, as well as local governments responding to the drought and beginning develop projects.